This 10 Acre property in Culberson County, Texas of free range land is ideal for anyone who enjoys the outdoors. This amazing investor deal won't last long! Legal Description: AB 2295 BLK 59 NW/4SE/4NE/4 SEC 34 TWP 1 T&P RY Culberson County, Texas. Access: Property is near a dirt road in the NE corner. A 4WD vehicle may be required to access the property. Utilities: Power by solar. Phone by Cellular. Taxes: Approximately $30 per year for the entire parcel. This is off-grid land. There are no city utilities here. You can use batteries, a generator, solar panels or windmill for electricity. For water you can bring it with you, drill a well, have water trucked in and delivered, set up a rain catchment system or pump water from the creeks when it rains into a storage tank and filter it. Culberson County is located in the Trans-Pecos region of West Texas. It is bordered by New Mexico to the north and by Hudspeth, Reeves, and Jeff Davis counties in Texas. 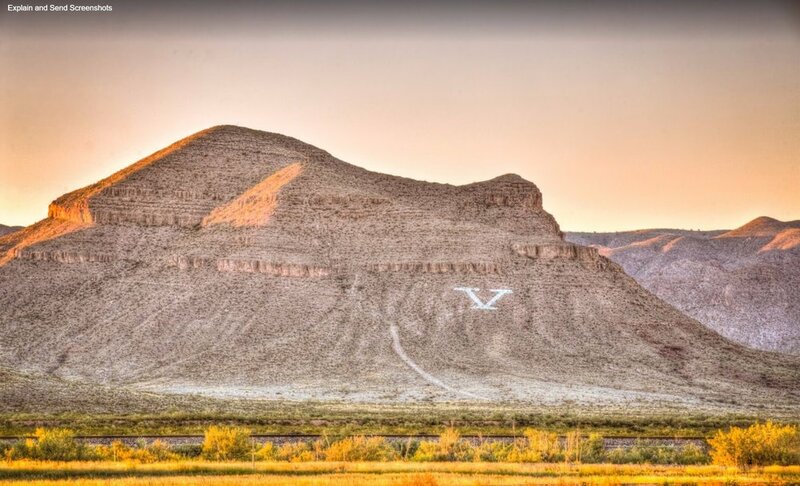 Van Horn, the county seat, is approximately 120 miles east of El Paso in the southwestern part of the county. The county's center lies about thirty-six miles northeast of Van Horn at approximately 3227′ north latitude and 10429′ west longitude. Interstate Highway 10 and U.S. Highway 80 cross southern Culberson County from east to west; U.S. Highway 90 enters the county from the south and terminates at Van Horn; and U.S. highways 62 and 180 cross the county's northwestern corner. The Missouri Pacific Railroad crosses southern Culberson County, paralleling Interstate 10; the Southern Pacific crosses the county's southwestern corner; and a spur of the Atchison, Topeka and Santa Fe enters northeastern Culberson County from New Mexico and ends at Rustler Springs. Culberson County comprises 3,815 square miles of terrain that varies from mountainous to nearly level, with elevations ranging from 8,751 feet on Guadalupe Peak, the highest spot in the state, to 3,000 feet. The county is in the Rio Grande basin. Soils in Culberson County are primarily shallow and stony, with some clay and sandy loams and sand. Vegetation consists of scrub brush, grasses, cacti, creosote bush, post oak, chaparral, oak, juniper, mesquite, yucca, and agave, with Douglas fir, aspen, Arizona cypress, maple, and madrone trees in the Guadalupe Mountains. The Guadalupes are also the home of several endangered or locally rare plant species, including bigtooth maple, ponderosa pine, chinquapin oak, Rocky Mountain juniper, Texas madrone, and Mexican buckeye, and of the only elk in Texas. Dolomite, gypsum, limestone, salt, silver, copper, lead, zinc, barite, and molybdenum are among the minerals found in Culberson County. The climate is mild and dry, with an average minimum temperature of 30 F in January and an average maximum of 94 in July. The growing season averages 224 days a year, and the average annual precipitation is ten inches. Less than 1 percent of the land in Culberson County is considered prime farmland. Today Culberson County is best known as the site of Guadalupe Mountains National Park, which includes Guadalupe Peak and is a major tourist attraction. The Guadalupes and the county's other mountains, such as the Delaware, Beach, Wylie, Sierra Diablo, Van Horn, Apache, and Baylor ranges, made the area ideal for Indians seeking protection from their enemies and a remote home base from which to launch attacks. The earliest sign of human occupation in the area, found in the Guadalupes, is a 12,000-year-old Folsom point. Later, hunter-gatherers probably inhabited the mountains only during the summer; they also left artifacts, as well as pictographs. The most famous indigenous inhabitants of the mountains, the Apaches, arrived about 600 years ago. They harvested agave, yucca, and sotol when meat was unavailable, and their agave-roasting pits are still visible in the Guadalupes. Known for its wide-open spaces, beautiful skies, and down home people, this 5+ acre parcel puts you in the heartland of America. El Paso is only 120 miles west of Van Horn, while Guadalupe Peak, the highest mountain in Texas, is 60 miles to the north. With a dry, mild climate and seemingly endless sunshine, this 10 acre property is an investment worth looking into.